Los Angeles has a new backup quarterback, as the club agreed to terms with former Jaguar Blake Bortles on a one-year contract. Bortles conducted a visit with the Rams on Monday, which resulted in the deal. The former No. 3 overall pick of the 2014 NFL Draft, Bortles spent the first five years of his career with Jacksonville, reaching the No. 2 spot in franchise history in both passing yards and passing touchdowns. Now in Los Angeles, Bortles slots in as an experienced No. 2 signal-caller for the Rams. Bortles has played in 75 games (starting 73), completing 59.3 percent of his passes for 17,646 yards with 103 touchdowns and an 80.6 career passer rating. 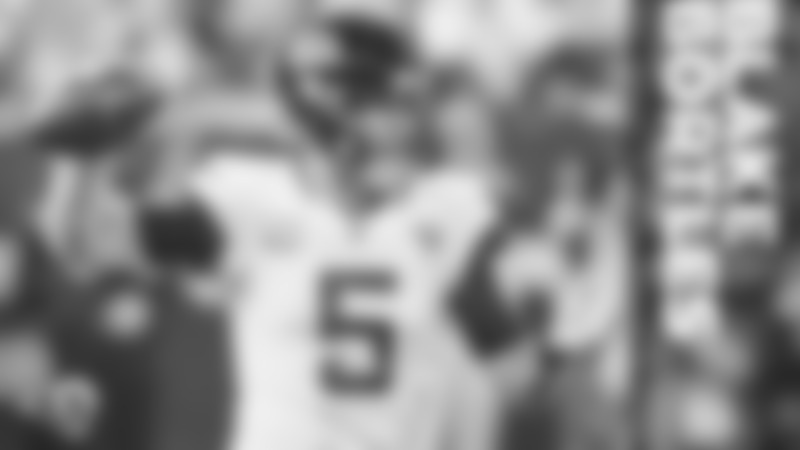 Bortles threw for 35 passing touchdowns back in 2015 as a second-year player, and helped lead the Jaguars to the AFC Championship game in 2017. Because the Jaguars released Bortles last week when the club signed quarterback Nick Foles, Bortles does not factor into the compensatory pick formula for 2020. While the Rams have lost left guard Rodger Saffold and safety Lamarcus Joyner in free agency, they have signed only veterans on the open market who were released out of their previous contracts in Bortles and safety Eric Weddle. The club also re-signed outside linebacker Dante Fowler to a one-year deal. The Rams are slated to open their offseason program in mid-April.